My name is Liam, I live in Australia and have a fascination with a racetrack on the other side of the planet—the Nürburgring Nordschleife. 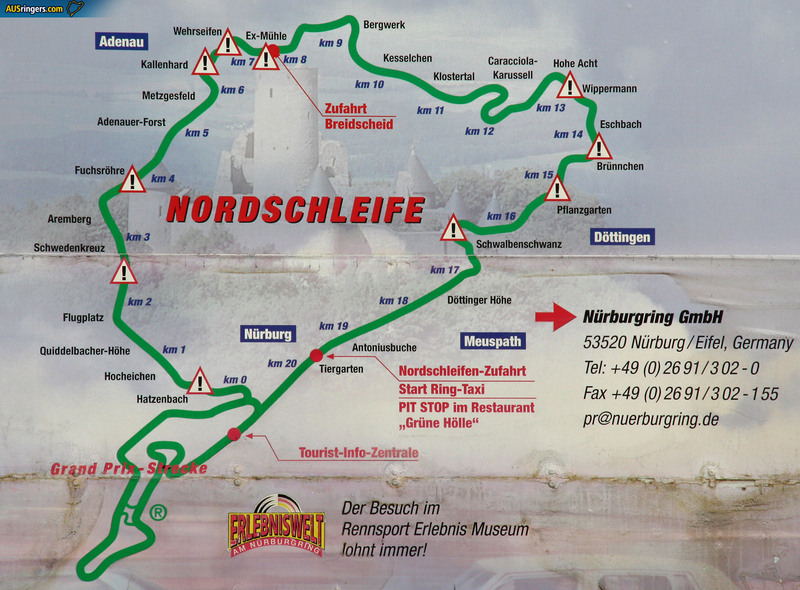 I was lucky enough to visit the Nürburgring in May of 2006 and with this blog I aim to share my experience with the famous German track, as well as offering a platform for other Australians who have been to the Ring to share their stories—see the Your Story page. AUSringers started in January 2008 and along with posting articles and general news concerning the world’s toughest race track, some of the highlights have been the interview with Sabine Schmitz (posted in week one of the site), and covering the 24 hour race from my lounge room in Australia. The Nürburgring truly is a remarkable place and driving the Nordschleife is something that should be at the top of any true car fan’s ‘to do’ list. I hope you like the site and choose to visit again. If you’ve got some feedback, I’d love to hear it; please get in touch via the Contact page.